Ai Weiwei: RAIZ is the first ever exhibition by the artist in Brazil, and the largest presentation of his work ever staged. With a project developed and curated by Marcello Dantas, this exhibition showcases Ai Weiwei's most iconic works, together with new works arising from a deep immersion into Brazil and its traditions. This exhibition will be on view from 20 October at the Oca exhibition space in Ibirapuera Park, São Paulo. RAIZ will also travel to the Centro Cultural Banco do Brasil in Belo Horizonte, opening 6 February 2019, and Rio de Janiero's CCBB from 20 August. 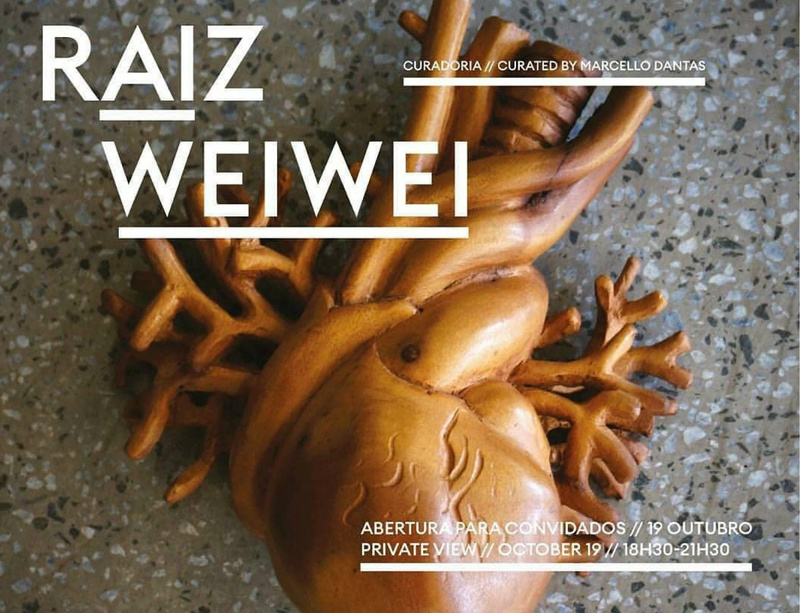 As a joint production with the Proa foundation (from Buenos Aires, Argentina) and CorpArtes (from Santiago, Chile), both of whom have received smaller versions of the exhibition, also under the curatorship of Marcello Dantas, Ai Weiwei: RAIZ is an exhibition organised by Magnetoscópio together with Ai Weiwei Studio, in collaboration with Lisson Gallery and with the support of neugerriemschneider and Galleria Continua.